Burma is a country in Southeast Asia bordered by Thailand, Laos, China, Bangladesh, and India. The Burmese Myanmar fashion ranges from tribal to traditional to fashionable. Here are 8 stylish outfit ideas from Burma. A traditional outfit wear from the colonial times of Burma. 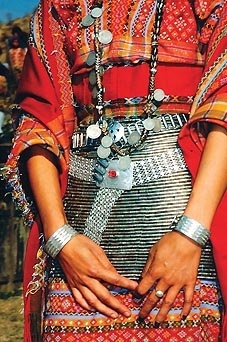 A tribal outfit from Burma. Glamorous pink formal dress from Myanmar. From a Myanmar Burma fashion show. Burmese girls showcasing Myanmar fashion with their outfit dresses.